Subscribe to the Weekly Roundup to receive our guide to the best new releases of the week. Welcome to the Bleep Weekly Roundup, our guide to the best new releases this week. Our album of the week this week comes from Bibio. Golden-age Americana, disco, West Coast psych and more are all warmed up and tripped-out across the course of this record. Our single of the week is the Four Tet's edit of Nelly Furtado he's been teasing us with for a strong year now, finally released via his own Text Records. Elsewhere this week we have the return of Huerco S. on the debut Ghostride The Drift EP, a yellow vinyl pressing from the Future Massive camp with a lineup featuring Humanoid, Plant43, Rolando Simmons among others. A clear vinyl press combining two Iglooghost EPs. Swedish rave provocateurs Dungeon Acid on iDeal, Hammer and Denis Sulta on his own Sulta Selects imprint, Jan Jelinek joined by Japanese organist Asuna and Mark returns to Ostgut Ton sub label Unterton. Coming up for pre order London Jazz group Ezra Collective available on limited white vinyl, Luke Slater remixes by Burial among others, Konx-om-Pax on Planet Mu and Cygnus on Central Processing Unit. 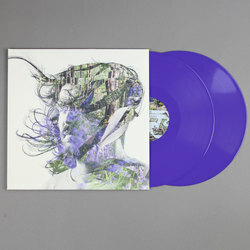 2019 marks a decade since Bibio released his first LP on Warp. As such, it seems fitting that Stephen Wilkinson will mark the occasion with new album Ribbons, his seventh for the label and the tenth of an impressive career. That Nelly Furtado track that you didn't think you were waiting for. One per person please.